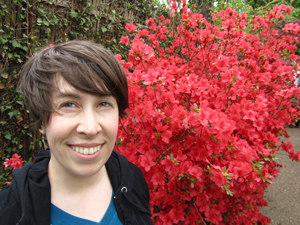 Malahat volunteer Vanessa Herman talks with one of our 2013 Long Poem Prize judges, Elizabeth Bachinsky, about her poetry and what she's looking for in a winning long poem. You’ve just launched your latest book of poetry, I Don’t Feel So Good (Bookthug, 2012), can you tell us a little about this collection and how it came about? I Don't Feel so Good came about as a response to the deaths of my friend Thomas Ziorjen and my friend Nikki Reimer's brother Chris Reimer who died within two weeks of one another. 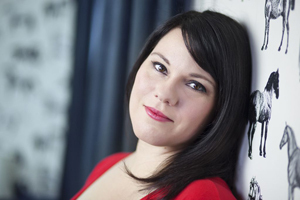 The book is dedicated to Nikki who grieves and continues to grieve online. I find it moving the way Nikki makes her grief public, so I Don't Feel So Good is an act of solidarity with that instinct. The book is a long poem comprised of found writing that spans 26 years of my life in journals—material that might be considered private—so some of the lines were written when I was 10, 15, 27, 36, etc. I didn't try to control the composition. Lines and poems were selected by the roll of a die and appear in the order the die saw fit. I didn't edit the book. I rolled the die for ten hours, typed out what it showed me, and the book was done. 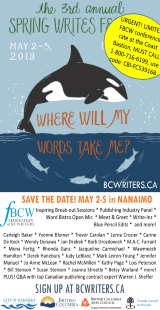 I remember you were a guest speaker in one of my classes at UVic a few years ago and you talked about how using different “restraint” techniques in your work made poetry not only more challenging but fun. Did you enjoy rolling the die and watching your work slowly come together in I Don’t Feel So Good? It felt like a good way to get at the material without getting precious. It was fun. Even better, the book is funny. It would seem that the adage about how the greatest comedy rises from tragedy is true. Some of the stuff in IDFSG makes me—and audiences, thank goodness—howl. The process wasn't slow, unless you consider I had to journal for 26 years before I could compose the poem. It was fast! The fastest book! In recent years it seems as though form is being used more often in poetry. What can be the strengths and challenges of using form in the first draft of a poem, especially a long poem? Any constraint is bound to surprise a poet and take them to places creatively they had no intention of going—and it can be delightful for readers to see how a poet resolves a received form. I think formal writing can get less interesting when poets start to internalize the sound structures they've been working so hard to master and become entrenched in unconscious, repetitious rhythm and rhyme. Metrical lines also offer a disconcerting potential for writers to write more than what needs to be written in order to say a thing. The potential for overwriting and needlessly elevated language is high. Long poems somehow need to sustain a reader's interest in order to be successful. Padding one's lines in order to fit a formal constraint works against this. For you, what makes a long poem an amazing feat vs. one that doesn’t quite get there? That is really hard to say, but I can think of some long poems I love, like Albert Goldbarth's The Two Domains (pretty long); Christina Bök's Eunoia (arguably one long poem); John Ashbery's Flow Chart (super long! ); Rimbaud's The Drunken Boat and Matt Rader's response The Ocean Voyager (both quite long! ); George Bowering's My darling Nellie Gray (a year in the life); bp nichol's Martyrology (a life!) to name a few. They sustain interest, formally. That's part of their success, for sure. But there is something more going on. All of these poems maintain a kind of equilibrium. Nothing can be removed, nothing can be added. 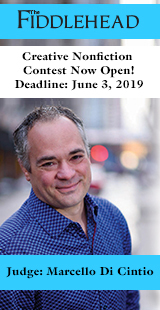 Writing contests such as The Malahat Review’s Long Poem Prize have been around for such a long time now it’s hard to imagine literary magazines without them. Do you think poetry contests have had a long-term impact on poets/poetry? 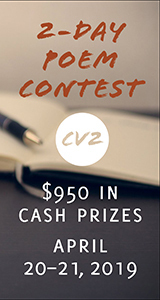 As an editor, I know contests are integral to the health and sustainability of literary magazines. But they are also useful to writers. They offer goals and deadlines (better get your poem in on time!) and the money is useful if and when you win. 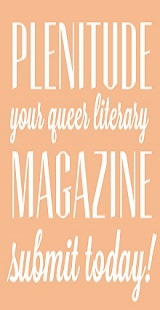 And if you don't win, you still get a subscription to the magazine, which is great. Contests help sustain public venues for the art of poetry, and they do so at very little cost to the community. 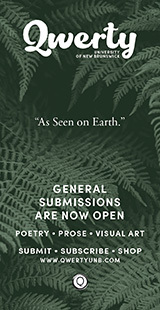 What will you be looking for as you read the entries for the Long Poem Prize? Engaging, well-handled poems that sustain my interest not only formally, but creatively and intellectually. Specific, detailed, vivid imagery. Great stories (like Goldbarth's The Two Domains or Rimbaud's The Drunken Boat) or interesting concepts like nichol's Martyrology or Bowering's My Darling Nellie Gray. Poems that required the poet do some research! Poems filled with gorgeous language and idiosyncratic voice(s). Poems that are unique to the narrator(s) and his/her experience. What is your favourite long poem to date? If you can’t pick just one tell us your top three. It's probably The Two Domains by Albert Goldbarth. It's not terrifically long (only 44 pages) but the story is so interesting and the writing so engaging. It almost reads like a radio drama/mystery. There are many characters, many voices. And it's a ghost story. I like ghost stories!